Cost? How Much? – Different taxi companies charge different rates. No surprise here. This is especially true for small and major cities, where prices differ a lot. Hence, it is a good idea to know where you are going before going for any company. Instead of just jumping in the first taxi you see and drive off, give the driver the address you’re going to and ask her how much it is going to cost. They’ll unlikely be able to provide you with an exact rate but an estimate is better than nothing in these cases. Bette yet, if you are planning on going to another country, and need an airport transfer, you can always count on ubiCabs to provide you with the best rates in the city. Just book with us in advance and have your taxi ready by the time you arrive to your destination. Asking for an Hourly Rate – On the other hand, if you ever find yourself in a situation where the driver needs to take you to a variety of places, simply as for the hourly rate. It’s likely to be more inexpensive and will keep you from worrying about a running meter. 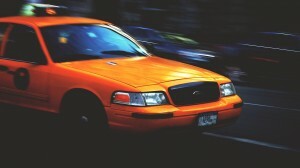 For example, if you need your taxi to wait o you while you run into you hotel room and change up, an hourly rate will allow you to be less in a hurry and less likely to forget something important such as your phone! Tipping? Oh yes the tip! – In some countries, tipping you taxi driver for a nice ride is a common practice. For this reason, it’s good to give a decent tip. What drivers make in tips might actually be a good portion of their salaries. As a rule of thumb, it’s good to tip a taxi driver in a similar fashion as a waitress: between 10% and 20% of the overall charge. When would you tip? For instance, if the cab driver was exceptionally good, if she took a shortcut to get you to your meeting faster (for which you were late). If the driver was rude or made a point of continuously slowing down when there wasn’t any traffic then don’t feel bad for leaving such a driver without a tip.